Business Gateways International (businessgateways) signed a Memorandum of Understanding (MoU) on 4 May 2018 with the National U.S.-Arab Chamber of Commerce (NUSACC) in Washington DC to implement the online US-Arab Business Framework (UABF). The proposed US-Arab Business Framework (UABF) to be implemented in the near future, shall connect all Arab Countries to the business communities in the USA fostering business relations and trade between them. The 22 Arab countries are spread across the Middle East and North African regions. The UABF project will be implemented by businessgateways and supported by NUSACC. The US-Arab Business Framework is expected to improve synergies between the US and Arab regions that will substantially increase potential new investments and partnerships. In addition to the business framework, NUSACC and businessgateways have agreed to work together on the JSRS (Joint Supplier Registration System) initiative of the Sultanate of Oman to strengthen the US-Oman business relationship in the Oil & Gas Industry. Through this initiative, US firms will be able to integrate directly to the Oil & Gas opportunities in Oman. The JSRS is hosted on www.businessgateways.com. businessgateways CEO Hemant Murkoth said “businessgateways with its strong experience in implementing National-level business platforms is excited to contribute towards fostering US-Arab business values by working together with NUSACC”. businessgateways, based in the Sultanate of Oman and India, implements National-level Online Platforms, that integrate business communities and government stakeholders to drive business growth. 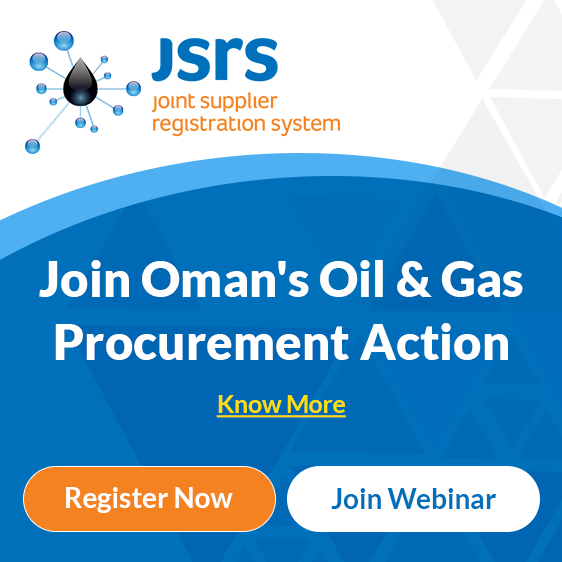 businessgateways manages the Joint Supplier Registration System (JSRS) – a Supplier Certification mechanism on behalf of Oman Ministry of Oil & Gas and the Oil & Gas Industry of Oman. businessgateways is also managing the Oman National Subsidy System (www.nss.gov.om) on behalf of the Government of Oman. The National U.S.-Arab Chamber of Commerce (NUSACC) is a non-partisan, non-profit organization established nearly 50 years ago. It is the only business entity in the USA that is officially recognized and authorized by the League of Arab States and the General Union of Arab Chambers of Commerce, Industry, and Agriculture. NUSACC works closely with decision makers from government and private sectors for cross-border investments and business development of companies from the US and the Middle East. businessgateways is now ISO 9001:2015 Certified! Oman LNG (Oil & Gas Operator) is now in Tier 3 of JSRS.